Design and build your own displays to best fit your store`s needs. Easy to assemble. Use on the wall or as a floor display. 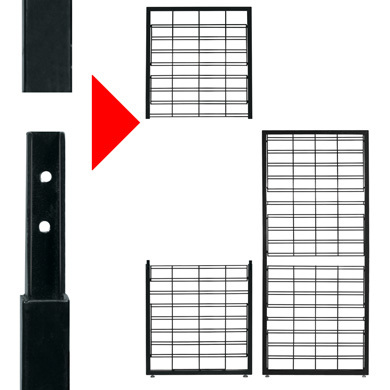 Slatgrid panels are heavy duty with a 1 in. frame.Panels are shipped KD for lower shipping costs. Slatgrid panels accommodates both slatwall and grid accessories and shelves. 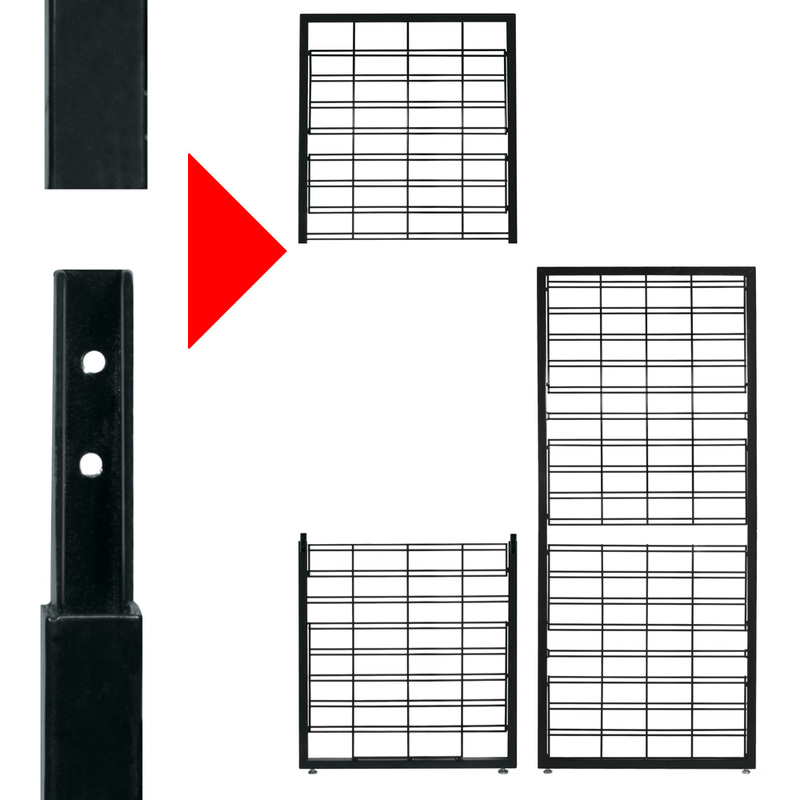 Available in black and are 57 in H or 84 in H. Panels include levelers. Grid and Wall connectors sold separately.